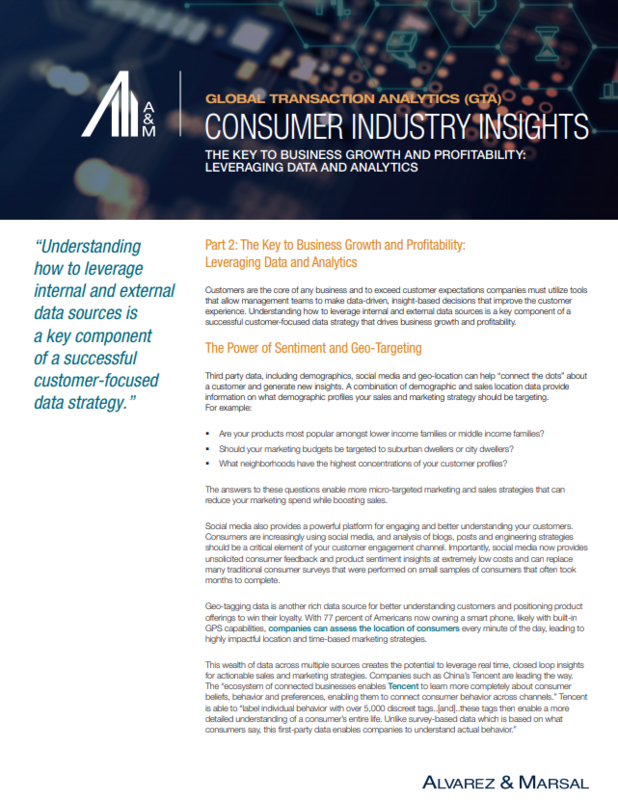 Alvarez & Marsal’s Global Transaction Analytics Group and Corporate Performance Improvement Group provide insights on the importance of customer centricity for business growth and profitability and why data and analytics is core to understanding your customers. Read this article to discover how transaction analytics helps turn customer data into actionable business insights. Part II of this series discusses how leveraging internal and external data sources is a key component of a successful customer-focused data strategy that drives business growth and profitability.